Follow along to get started with your Karma Go. Press and hold the power button for a few seconds, until the rings flash white and the Karma Go begins powering on. If the lights don’t turn on, connect the micro USB cable to the Karma Go charging port and plug it into a power source, then try again. 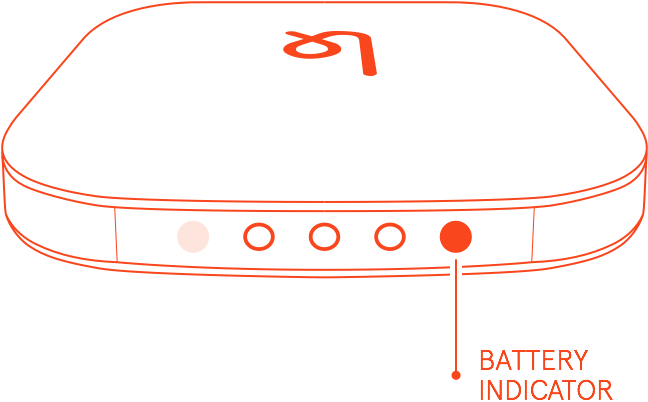 The battery indicator will remain on and the signal rings will go from flashing to solid, signifying a successful boot up. Depending on coverage, one to three signal rings will be lit. If no signal rings are on, it means Karma Go can't find a good signal. Try to improve this by moving into a more open area. If this still doesn't work, double check the coverage of the area that you're in. From your device (smartphone, laptop, tablet, etc. ), locate Network Preferences. Then, select Karma WiFi from the network list and your device will begin a connection with your Karma Go. Don't see Karma WiFi in the network list? If you don’t see the Karma WiFi in your network list after a few seconds, make sure the connecting device (smartphone, laptop, tablet, etc.) has WiFi turned on. 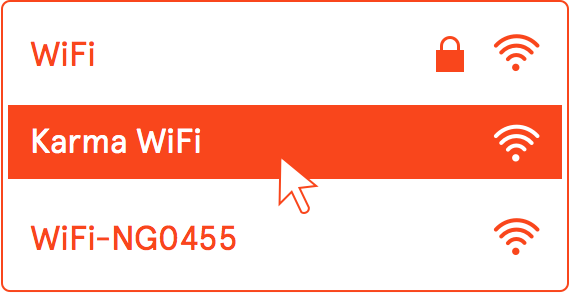 After you select Karma WiFi from your network list, a window will appear on your screen. Log in with the email and password you originally used to order with. If you haven't created an account yet, you can do that within the same window. If you don’t see a window, go to your browser and enter http://hotspot.yourkarma.com and then try logging in from there. If you see a "This Karma might be offline" message, double check the coverage of the area that you’re in. If you don't have a password, or forgot it, follow these steps to set a new one. At this point, you should be fully connected to Karma Go and able to access the internet using your account and data. 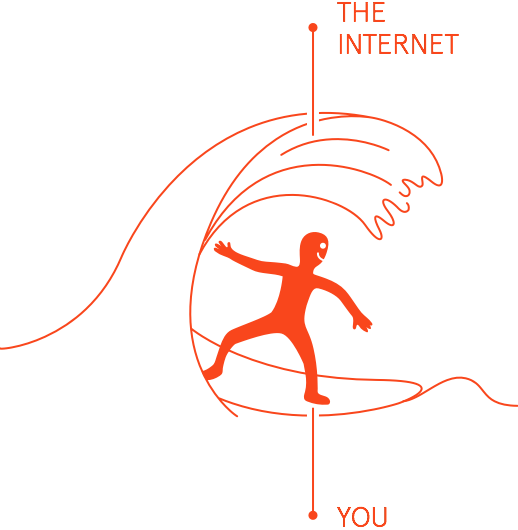 Surf on. Open your browser and enter http://hotspot.yourkarma.com. A window will appear on your screen. Log in with the email and password you originally used to order with. If you haven't created an account yet, you can do that within the same window. If you see a "This Karma might be offline" message, double check the coverage of the area that you’re in.